No company is too small to get attacked. Most large companies protect their business & IT through comprehensive, 24x7, security operations. However, using just a cloud/ SaaS/ co-managed SIEM will not help you detect or manage attacks. 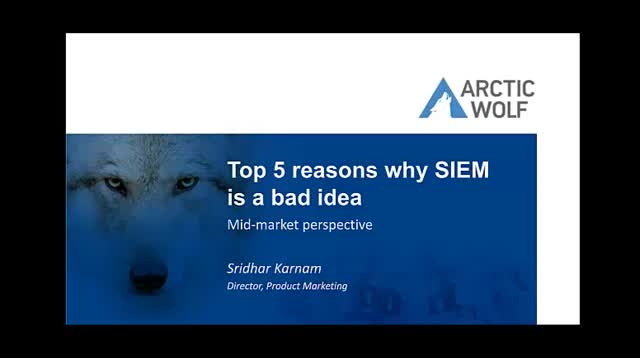 Tune into this webcast to learn about the upfront costs, resources, expertise, and long deployment cycles of SIEM and discover alternative options to safeguarding your small or medium-sized business in an efficient and economical way. A 1-hr webinar presented by SC Magazine and Arctic Wolf Networks on Oct. 3, 2016.